Tuesday through Friday, February 5-8 are AMI days. Students should complete AMI Day 2-5 packets. Failure to do so results in being counted absent for those days and counts toward semester test exemptions. AMI packets are graded and can result in a 0 if not completed and returned. ALL packets are due on Tuesday, February 19. Teachers: Progress Reports go home on Wednesday February 13th. Congrats to Louis Lin who will be participating in the all state band and will be excused on Wednesday and Thursday this week. Softball girls need to meet in the New Gym for a picture TODAY during activity period. Junior Historians will meet in Room 207 Wednesday, Feb 13 during Activity Period. TRACK: All Jr High and Sr High Boys and Girls Track members need to meet in the Old Gym on Wednesday during activity period. Rescheduled- Thursday, There will be a Junior Class meeting in the cafeteria during act. pd. Sadie Hawkins: All proceeds will be given to the Cody Shaw Family, so when see these boys and/or the girls carrying cans please donate and help out! Sadie Hawkins Royalty Assembly will be Thursday, Feb 28 during activity period. All money should be turned in on Wednesday, Feb. 27. Tuesday: We are ask everyone to wear red to show your support. When we see you in red, a FCCLA member will give you a kiss (a Hershey's kiss) while supplies last. Wednesday: FCCLA members and teachers will receive an appreciation Gift. Thursday- Ice Cream Floats or Sundaes for $2.00 in the FCS room. Bring your prepaid ticket the last 15 minutes of each class period starting 4th hour. Your ice cream will be waiting for you when you arrive. Others who did not purchase a ticket my buy ice cream while supplies last. 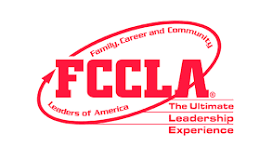 Friday- No school - Enjoy your day the FCCLA way with positive activities! Special Olympics Basketball will be Friday, March 1. Senior High FBLA members must turn in Scentsy fundraiser orders with money to Mrs. Peters by tomorrow, Tuesday, Feb. 12. Second annual Miss Mohawk pageant will be held February 23 in the Middle Gym sponsored by the Mohawk Band Boosters. If anyone needs registration forms, I have them in the band room. Deadline is the 15th. Congratulations to the following Middle Level FBLA members for placing at the District II Conference last Wednesday: Emily Conley, 5th Place, 3rd Place individual awards to Ava Baggett, Leslie Reaves, and Anna Haley. Anna will also represent District II at the State Leadership Conference in April. Morgan Rahn was elected to serve as District II Middle Level Treasurer. Girls interested in entering the AMMC Beauty Pageant on Sat March 2 - see Mrs. Amber for registration form. Students who wish to attend the Drama Club field trip to see Mamma Mia at Paragould on Feb. 22nd need to see Miss Vernon to get their permission slips and pay for their tickets in advance. Miss Vernon is still finding out how much the tickets will be for us. She thinks they will be $15. Auditions for the spring production by the Drama Club will be from 4:30 to 6:30 on Tuesday, Feb. 26, and Thursday, Feb. 28th. Students must pick up an audition packet and conflict sheet and return them before they audition. Packets will be available by Wednesday of this week. RESCHEDULED --Please let these Seniors know when they will be taking the Civics test. They will need to report to the library at their scheduled time. Tuesday, February 12.